This session examines some of the hottest emerging technology trends that will impact your ministry over the next two years. Learn about the newest trends in Internet TV and tablet applications, with demonstrations of the technologies you will be using in your ministry between now and 2015. This is a high level session intended to alert you to new trends coming down the pike, and how they will impact radio, TV, churches and ministries. 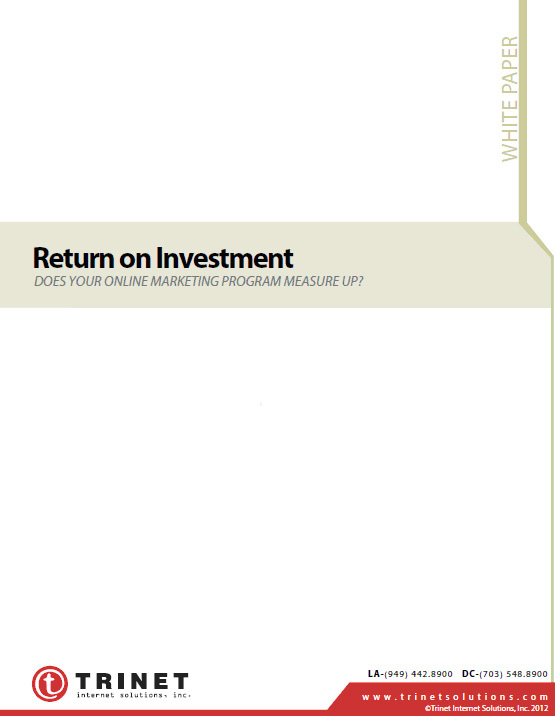 Return on Investment: Does Your Online Marketing Program Measure Up? In order to review the results of a marketing campaign, marketers need to determine the return on investment (ROI) as their measurement of success. ROI provides a quantifiable appraisal of the impact of a marketing strategy on an organization’s revenue. While sometimes difficult to calculate, ROI is an essential part of reviewing previous online campaigns and preparing for future implementations. This white paper will review the important aspects of planning online marketing strategies to address ROI as well as how to estimate ROI for online campaigns. 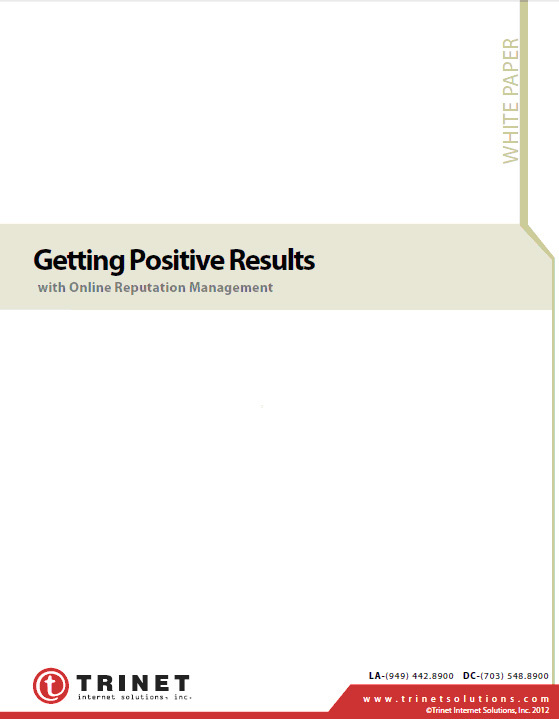 ORM, or Online Reputation Management, allows you to monitor and appropriately respond to negative comments and feedback about your organization that is posted on the web. Don't go at it alone! Trinet can help you put together an action plan before it's too late. 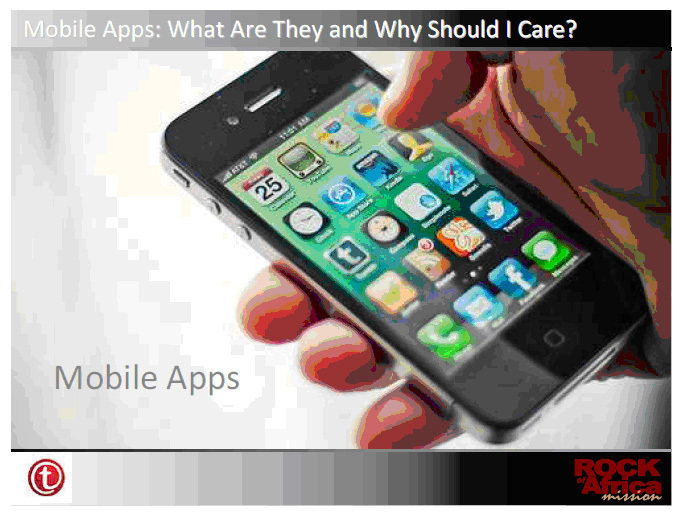 Mobile Apps: What Are They & Why Should I Care? Phones are for calling, right? Not in this decade. With the rising number of smartphones being used today, people are spending most of their time on mobile apps. Learn how mobile apps are influencing social interactions between ministries or broadcasters and their supporters. 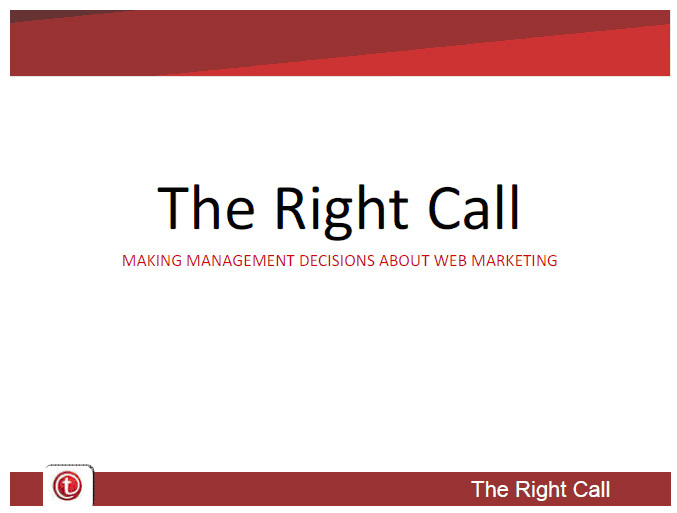 An essential session for any organization that is interested in engaging with their audience through mobile strategies. 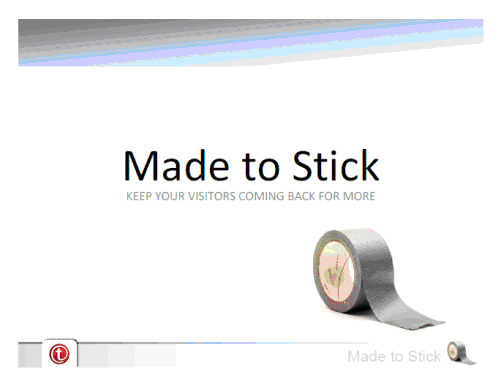 How can you increase user participation with your website? Desiging the right engagement strategy for your ministry or organization is the key to forming a highly involved audience. Learn how to implement effective engagement tools and strategiest to better participate with current followers and increase your support base. 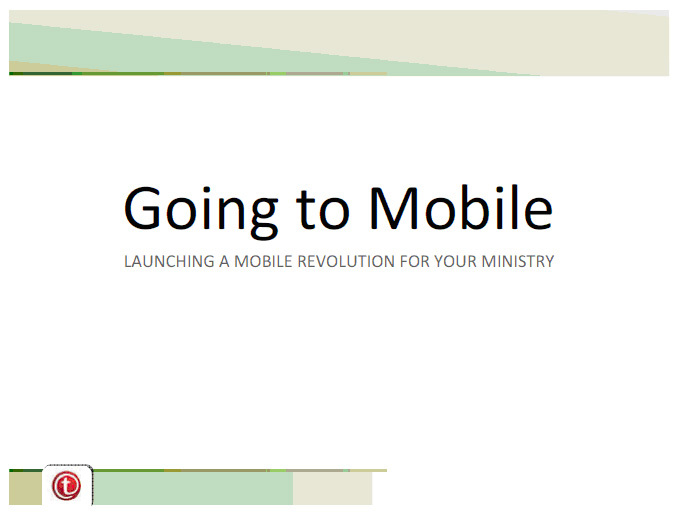 Bring mobile applications into focus with Trinet’s mobile application guide for ministries. Discover the process to developing an application that helps build ministry awareness, engage constituents and grow donations. 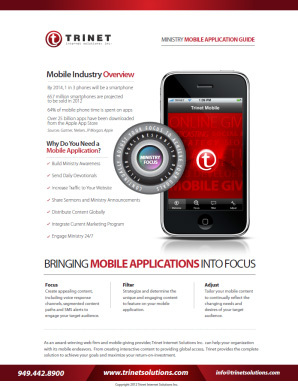 Bring mobile applications into focus with Trinet’s mobile application guide. Discover the process to developing an application that helps build brand awareness, engage your target audience and grow revenue. 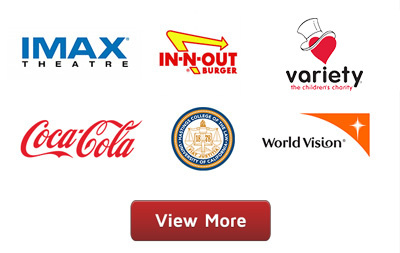 Bring mobile applications into focus with Trinet’s mobile application guide for nonprofits. Discover the process to developing an application that helps build awareness for your cause, engage constituents and grow donations.